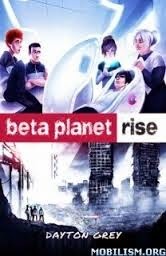 "Beta Planet: Rise," by Dayton Grey, is a sci-fi novel set in a post-apocalyptic future, aimed at teens. The protagonist, 15yo Geon, wakes up from a coma in a world that is strictly controlled and filled with technology. At first, the technology is fascinating, including the futuristic sport JetSurf. But the controlling organization known as CARE attracts Geon's attention. With his friends, he begins to investigate, discovering dark secrets about the future. Grey does an excellent job of introducing this world to the reader, without overwhelming them. The plot is paced well, and I felt that Grey was able to relay Geon's sense of discovery and amazement perfectly to the reader. This book is an engaging read for anyone who likes sci-fi novels that are approachable and fun.